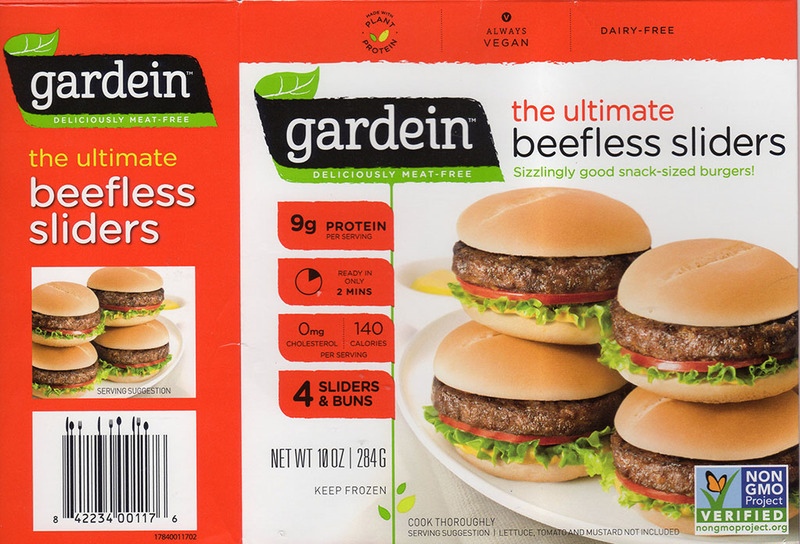 Are Gardein The Ultimate Beefless Sliders any good? Yes! The burger patty is wonderful, and the bun reheats remarkably well all things considered. 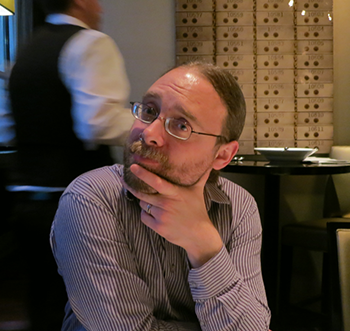 Preparation can be a little awkward is all. Be aware that the patty is exceptionally unforgiving to overcooking. 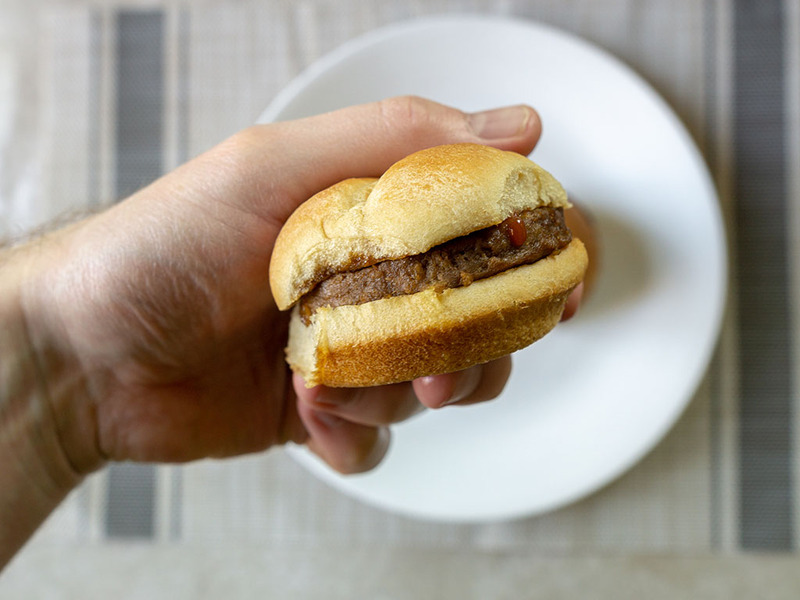 For those of a vegan/veggie persuasion who might look longingly at the convenience of White Castle sliders – this product from Gardein promises the same in-home experience. 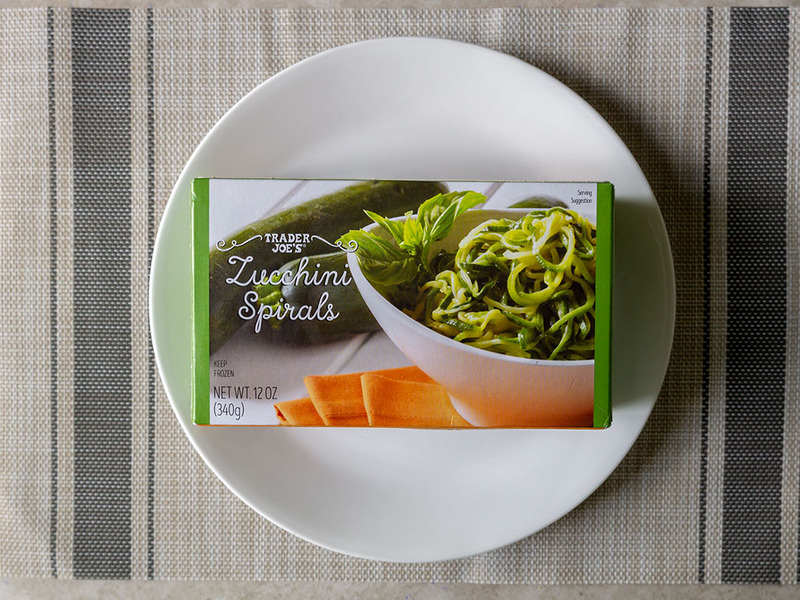 From freezer to belly in mere minutes, a bite sized snack. 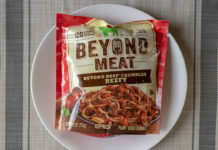 I was more than a little impressed with this product taste wise. 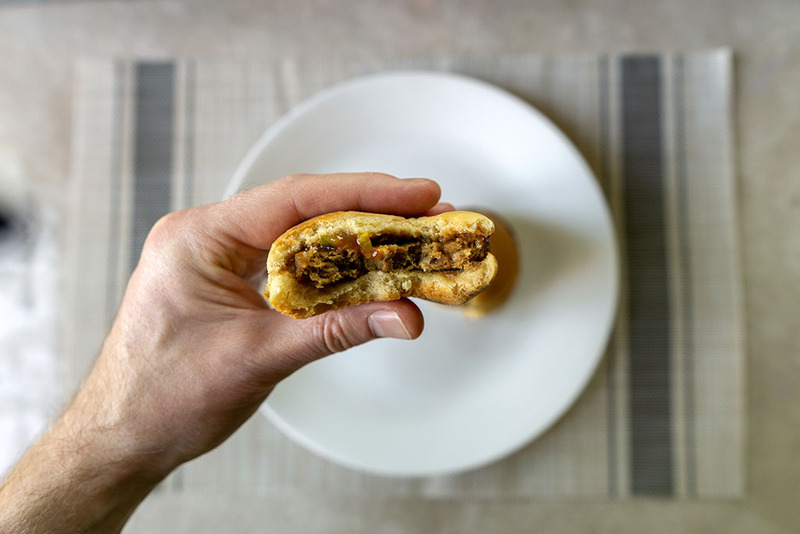 The patties are essentially mini versions of their big brother – Gardein’s full sized Ultimate Beefless Burgers. 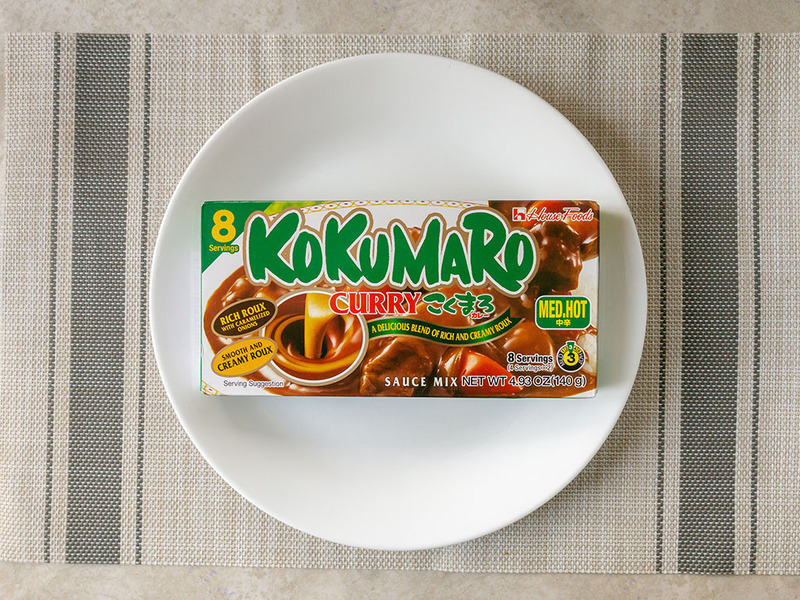 They have a thoroughly meaty taste with plenty of lip smacking umami. Texture wise they’re in the mold of a 365 Burger or MorningStar Farms Griller; which is to say a highly processed approach. Topped with a little ketchup, mustard and pickle, I absently minded mistook these for something like a McDonald’s basic burger at times. 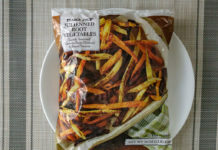 So much so, next time, I will go ahead and add a little diced onion too, to try to mimic that product closer. 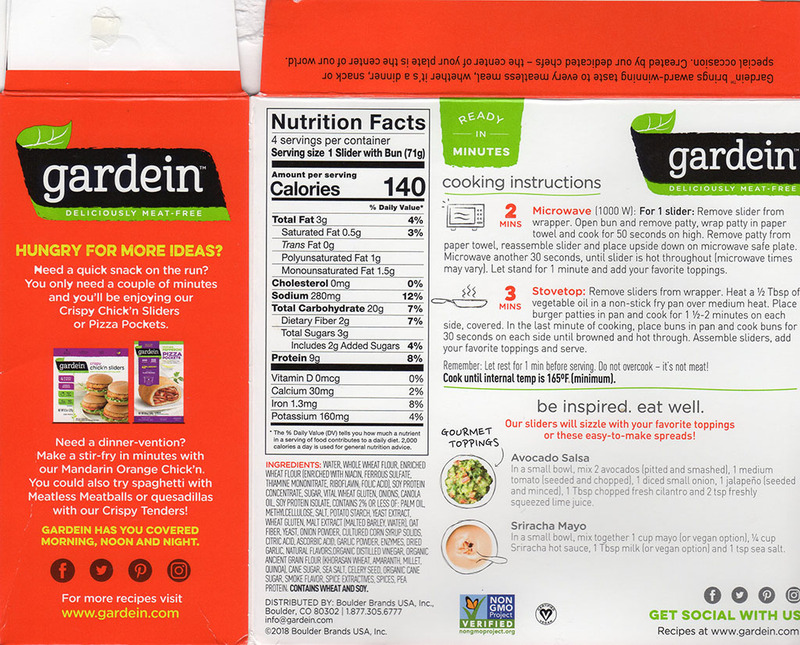 Gardein The Ultimate Beefless Sliders – what’s in the box? 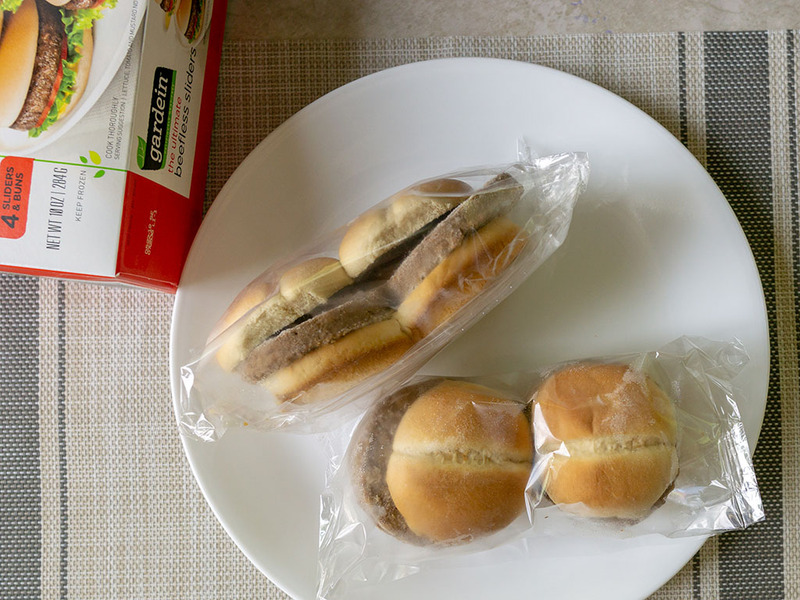 You’ll find four sliders in the box in total; the sliders are then handily also separated into two different plastic wrapped sleeves. 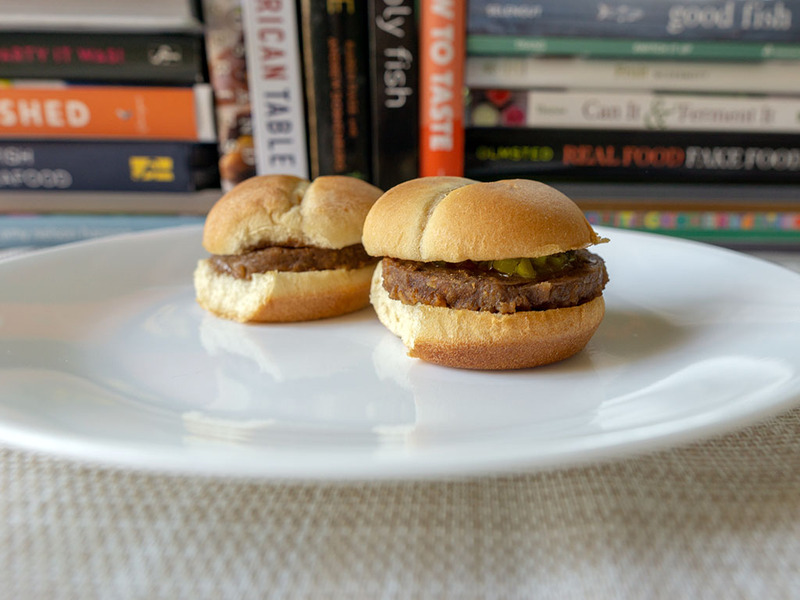 Personally speaking, two sliders feels the perfect amount for a lunch snack, they’re little more than 3-4 bites individually for an adult. I only tried the microwave cooking method for the sliders, but definitely need to investigate stove top cooking next time. 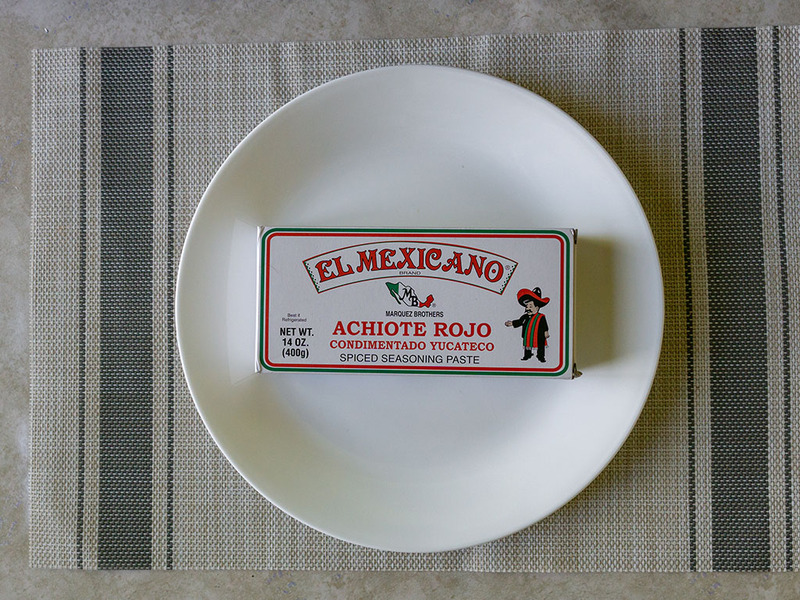 These patties are very unforgiving should you veer into overcooking. The packaging does note to be wary of this, but it’s important to underscore just how badly the patties take too much heat. I ended up with a couple of patties that had areas as hard as a brick from only a few extra seconds extra cooking. 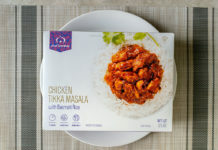 My advice would be to microwave these in slightly smaller increments than the package suggests – or indeed – pan cook to get a better hands on feel. 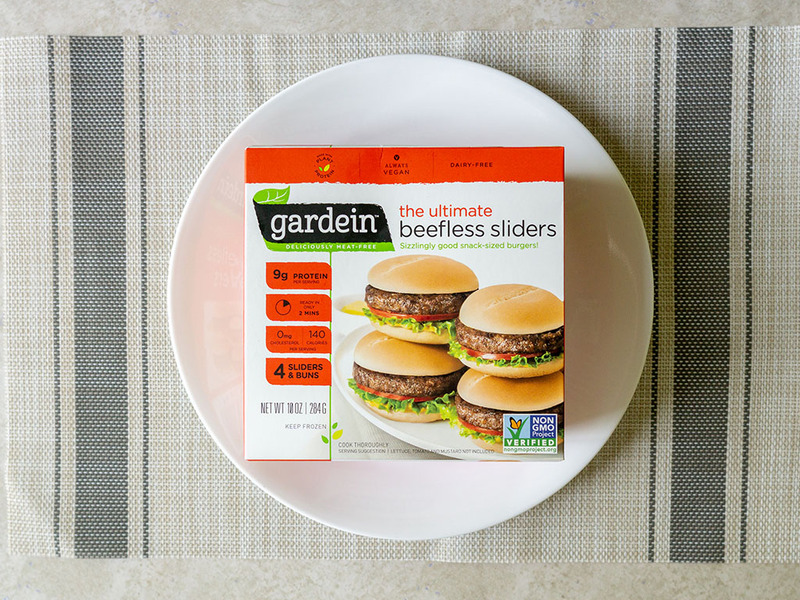 Gardein The Ultimate Beefless Sliders – what’s a fair price? 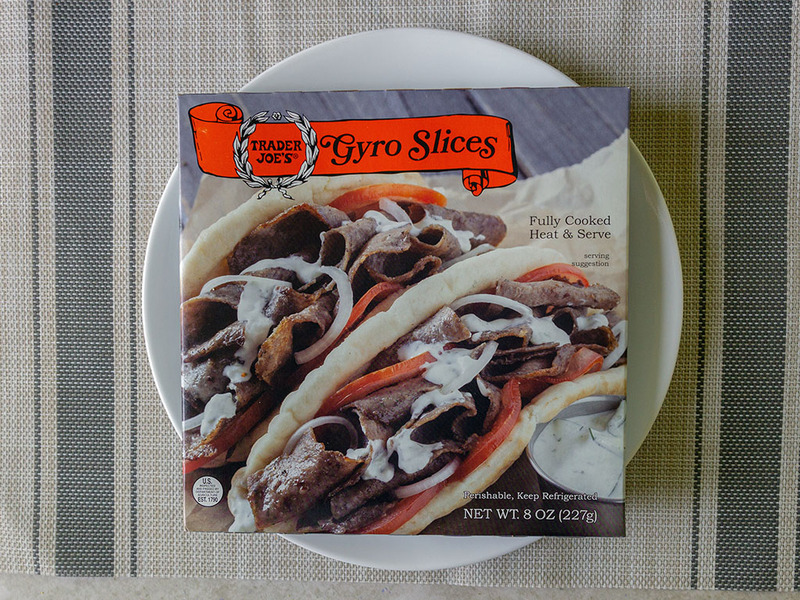 My local grocery store stocks these for $4.29 a package (bear in mind you can find six White Castle sliders for only a little more). I’d personally like to see them just a little cheaper. 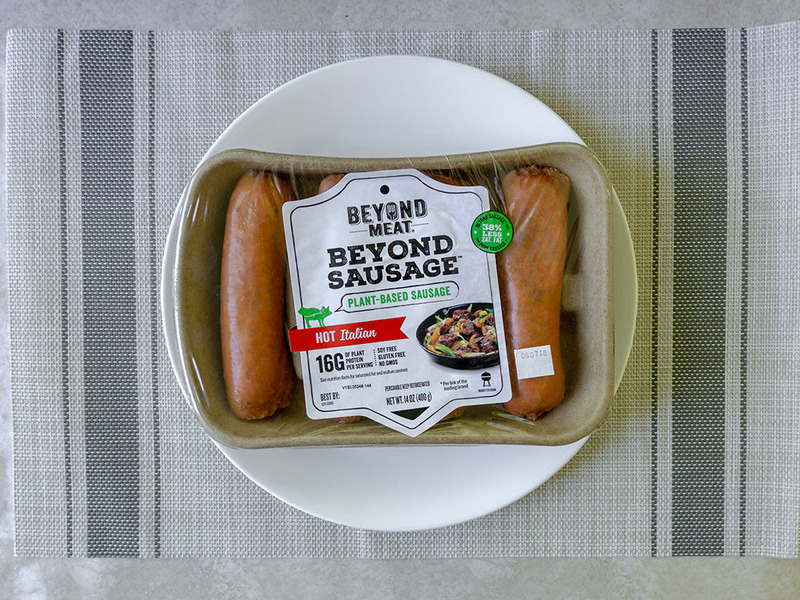 Somewhere in the $3.00 – $3.50 range feels slightly more on the money. 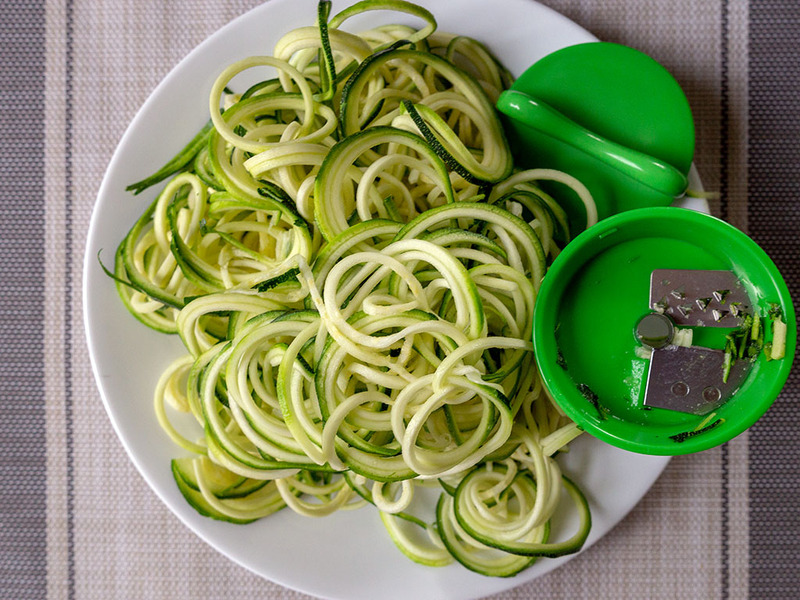 For an easier prep use the toaster. I put two patties in one slot and use the bagel setting… I usually have to do it twice and during the second time down I rest the buns facedown over the top of the toaster (keep an eye on them as they’ll burn quickly) … this same method also works well for the Chik’n Sliders.